The Insitute of Ocean Energy, Saga is one of the world's foremost Ocean Energy Research Institutes. In addition to OTEC, they study other Ocean Energies and related technologies such as Lithium extraction from seawater and desalination. 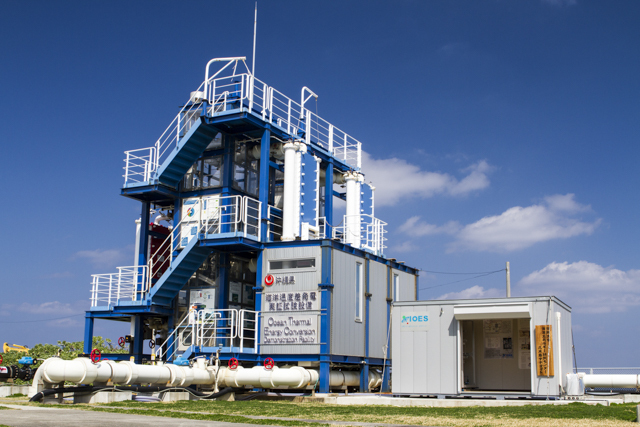 From the end of 2014, Saga University installed the Kumejima Satellite to harness the cold post-OTEC deep seawater to create freshwater from raw seawater. This new and unique miniature experimental station is now open to public viewing. See freshwater and even hydrogen made before your eyes in one of our tours.